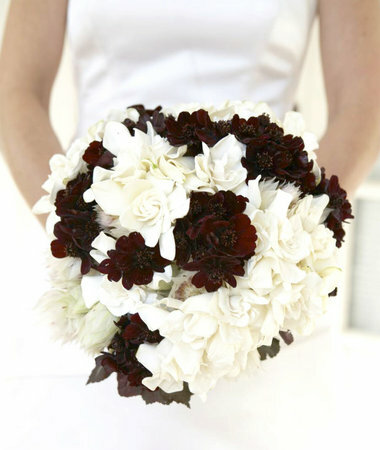 Rich chocolate brown can be so elegant and work as an alternative to black for formal weddings. Pink, lavender, aqua, bright green, and ivory all work as accent colors with chocolate. This luxe invitation begins with an Opal shimmer folder wrapped in brown satin ribbon, accented with a monogram tag. 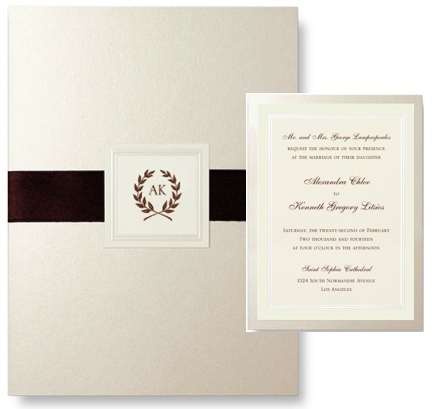 The folder opens to present an ecru pearl, double border wedding invitation. Sheer, shimmering elegance. Matching Reply Cards, Rehearsal Dinner Invitations, and Folded Notes.